The University of Oregon campus will be hopping on Saturday, March 8, with budding scientists from grades K-12, who will present original science and invention projects at two science fairs. K-8 students from Eugene-Springfield will share the science of candy, rockets and popcorn at the 3rd Annual UO Science and Invention Fair from 11 a.m. to 3 p.m. in the atrium of Willamette Hall, 1371 E. 13th Ave.
Students in grades 6-12 will present their projects at the Central Western Oregon Science Expo. CWOSE students come from the Willamette Valley, Southern Oregon and the Oregon Coast to compete for a chance to take their projects to the Intel Northwest Science Expo. The public is invited to the free events. The UO Fair will feature free hands-on science activities, workshops and some 60 some entries, which will be judged by a panel of UO scientists and graduate students. The CWOSE fair will feature a similar number of entries. 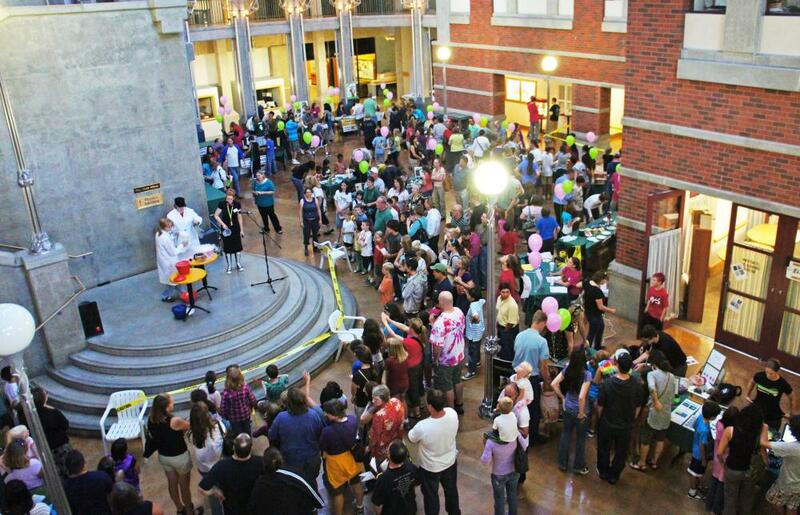 The two fairs will join together in 100 Willamette Hall at 2:30 p.m., for a science demonstration, followed by awards. “Raining" Eugene SLUG Queen Professor Doctor Mildred Slugwak Dresselhaus will attend each of the fairs. The SLUG Queen will give out the awards for the UO Science and Invention Fair. The UO event is the brainchild of the Science Program to Inspire Creativity and Excellence (SPICE), which is its host. The UO STEM CORE program and the College of Arts and Sciences are the primary sponsors. Top finishers in each category will earn awards and receive feedback from the judges. The UO Science and Invention Fair is part of the UO Seasons of Science, which includes the Fall Science Open House – a public event that attracts 400-plus people each September. The Spring Open House brings about 200 high school students to campus for lab tours and scientific poster sessions. CWOSE is supported by Intel and run by David Hackleman of Oregon State University and Karen Sprague of the University of Oregon. This will be the first year the CWOSE fair has been hosted at UO. Organizers expect the event to return every other year in the future.